Blog Do B2B Telemarketing Companies Work? Today, many companies utilize social media platforms as their primary source for lead generation. Digital marketing bombards the internet with advertisements regularly, leaving users feeling overwhelmed. It can be challenging to stand out among the flood, which is why b2b telemarketing can be an extremely effective solution. In place of dated predatory sales techniques, building trust and forming relationships is the primary objective for today’s cold callers. 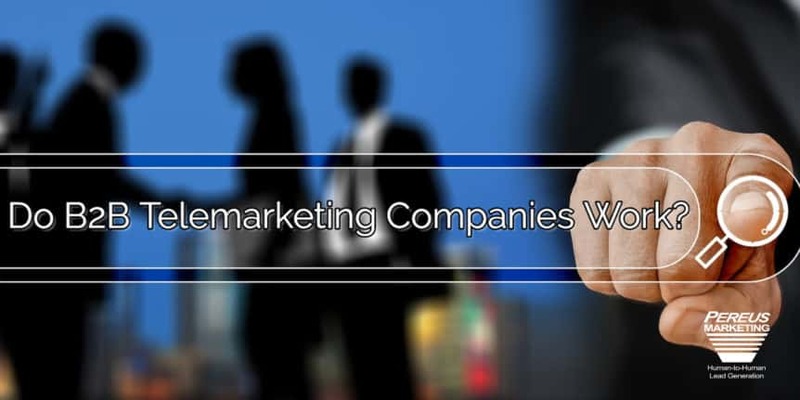 The best B2B telemarketing companies are trained to sell a brand professionally, and if equipped with various resources, they can effectively maintain a list of qualified prospects for companies in any industry. Cold calling and generating leads on your own can be a time sink, and as anyone will tell you, time is money. Outsourcing lead generation presents an opportunity to focus on the daily operations of an organization. This organizational structure frees up business owners to focus on priorities like meeting with clients or improving their product or service. With an outsourced team of people calling on your behalf, you will find yourself concentrating on other things like implementing new strategies, focusing on your passion, and meeting with the prospects that the team of telemarketers has generated and warmed up for you. This improves productivity and efficiency throughout an organization. Great marketing companies develop qualified experts committed to forming long-lasting relationships. Telemarketing professionals will analyze and determine what differentiates a company’s product or service, while also familiarizing themselves with the brand guidelines provided at each campaign start. These adept, competent sales people make sure that the product or service is marketed as intended: with integrity and patience. Every sales development representative is trained to connect with people. Motivated by emotional intelligence, they find the people that want your product or service, rather than wasting time playing to an inattentive audience. Advertising is costly for businesses lacking an internal marketing department. Lead generation focused firms are equipped with the resources needed to reach potential buyers. B2B telemarketing companies have the in-house tools and resources to locate demand for specific products and services. 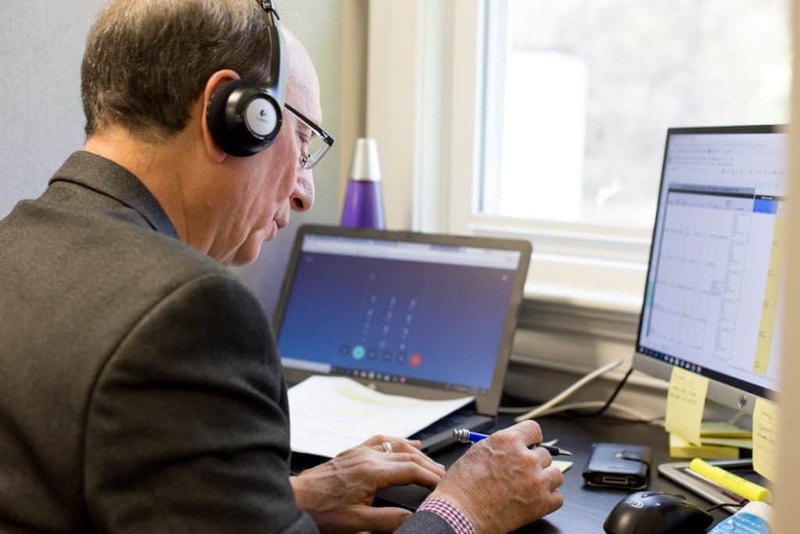 Trained telemarketing professionals know how to generate warm leads, and the entire focus of their job is to create a return on investment for their clients by putting them in a position to sell more. This support system can spearhead solutions, equating to increased efficiency and productivity. These services provide not only revenue growth, but also peace of mind. There’s no need to worry about finding the next job for the list, it’s already there. Entrepreneurs often neglect the monetary value of a team specialized in B2B telemarketing. This could be for many reasons; some feel their brand will not be represented in a fashion that reflects their brand values, while others worry that they will not see a return on their investment. Entrusting the future of an organization to another can be daunting, but the benefits outweigh the risk. We have worked with enterprises in the past who felt a group of strangers couldn’t be trusted to understand their brand or generate qualified leads. However, after using our service and experiencing our process, clients have found that we work hand in hand to craft a strategy that aligns with their company message. Additionally, they also realize that the increased amount of time they could spend on their day-to-day operations led to a huge benefit to their bottom line. At Pereus Marketing, we produce results by successfully connecting businesses and developing relationships for our b2b clients, allowing them to grow their sales departments and focus on their core business.